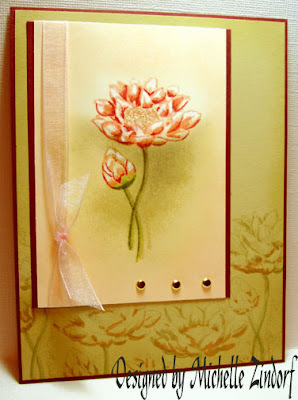 After Hours Stamper: "The Best of Lists"
As an example of a "Best" tutorial link, check out this fabulous, amazing tutorial (and card) on the "Freedom and Creating" blog (I have also included a link to all of her tutorials in the listing on the left, "Best Tutorials"). Michelle Zindorf is a wonderful artists, and her tutorials are easy to follow, have great photos and encourage even the most challenged of us to try her methods. I was especially taken back by the card I have to the left here, isn't it a work of art? I want to call your attention to the left side of the blog where there are lists of "Bests," from bargains to videos to everything in between. I also love product reviews and comparisons, and one of the best sites I have found is Craft Critique where you can find reviews for all sorts of craft related items. Each day I try to add new links for you, and the best ones I find are added to the listings on the left. Do I get all of the "best?" NO! And I would love for you to send me an email, or post a comment with your recommendations. 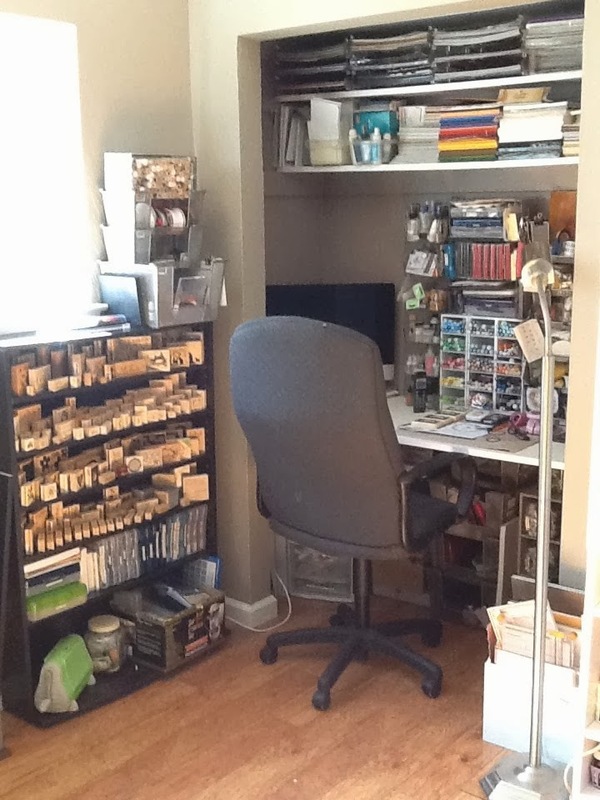 Today I added a few new sites to the list, one being under the "Best Stamping Companies," called "Crafty Secrets." I love their clear stamps, and their vintage paper as well, and their prices are great! Just a few weeks ago I bought one of their sets, the "Coffee and Tea" set and can't wait to find just the perfect way to use these images. How do sites get placed on the "Best" list? A couple of ways, one they have great information, or someone has recommended them, or I think they offer a great product or images or whatever. This isn't to say that my list is complete, it will never be complete, nor will everyone agree with what I have listed as being the "best," and given that I would love to hear back from you on what you consider to be the best. Remember that I am always updating and adding sites to the list on the left, as well as really working hard to post something each day (which is a challenge!) that is useful to your stamping interests. Thank you again for visiting this blog and for any input or suggestions you might have to make it better.